The adept Childish Gambino has proven that he is a jack of all trade. He has carved a niche in every aspect of the world of arts whether in writing, singing, acting, djing, production, and comedy. He took his first steps in the entertainment world as a scriptwriter for NBC and has gone ahead to write a lot of other films. 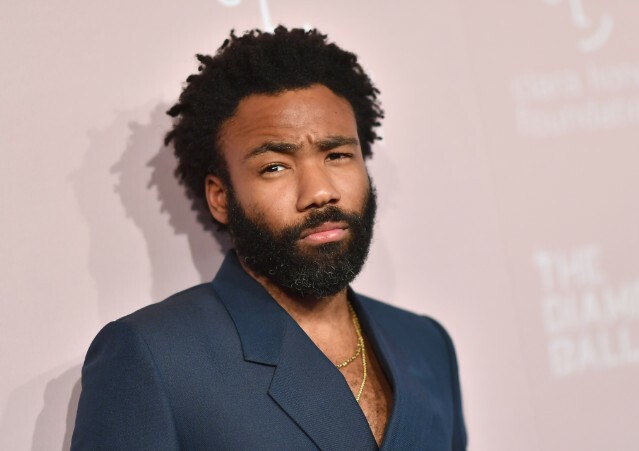 As an actor, Gambino has not only proven his acting prowess on set but has also voiced roles in a lot of movies including the popular animated film, The Lion King where he voiced as Simba. The black American singer was born on 25th September 1983 in Edwards Air Force. His real name is Donald McKinley Glover Jr. and he was raised with his brother as a Jehova Witness in Stone Mountain where he was also a scholar at Stephenson High School before he proceeded to study arts at the DeKalb School of the Arts in Georgia. Donald also studied dramatic writing in the New York Tisch School of the Arts. During his stay at Tisch, he produced his first mixtape titled, The Younger I Get which was never released. Also, he indulged himself with disc jockeying and production of electronic music under the moniker MC D.
Immediately Donald graduated from college, he got a job offer to work with David Miner and Tina Fey as a writer for the NBC series; 30 Rock. Apart from writing for NBC, he also made cameo appearances in the series. For his excellence in the series, Glover was honored with the Writers Guild of America Award for Best Comedy category in 2009. He worked with NBC for three years before deciding to play the role as Troy Barnes in the NBC sitcom, Community. While working for NBC, Childish Gambino founded an internet comedy sketch comedy group known as DERRICK Comedy. His first script Mystery Team written in 2009 wasn’t one of his best works yet it was also that which contributed massively to his fame. Glover started a Comedy Central standup special in 2010 and in the following year he decided to tread the path of a music artist under the stage name Childish Gambo signed to Glassnote Records. He has released three full-length studio albums, numerous E.Ps, and mixtapes. Playing as an actor, Childish Gambino has starred in a lot of movies including Mystery Team (2009), The To Do List (2013), The Muppets (2009), Alexander and the Terrible Horrible, No Good, Very Bad Day (2014), The Lazarus Effect (2015), Magic Mike XXL (2015), The Martian (2015), and Spider-Man: Homecoming (2017). Amonsgt his numerous voice acts, he is popularly known as the voice of Simba in the animated movie; The Lion King. 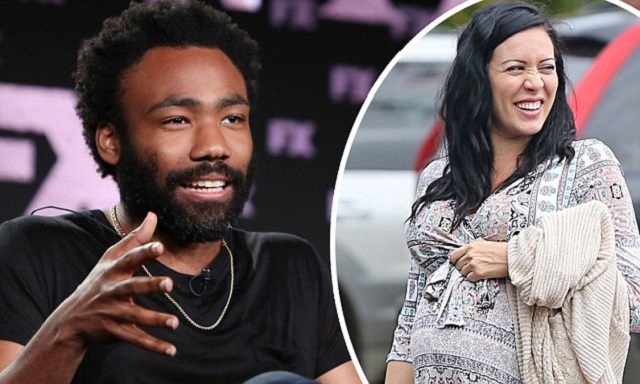 Childish Gambino has bagged a lot of accolades for his numerous performances on set. He was announced as the winner of the 2018 Grammy award for the Grammy Award for Best Traditional R&B Performance for Redbone. Recently, Glover publicly announced that his days as a musician has been numbered and he doesn’t see a need for the career anymore as he gets more satisfaction in other endeavours of his life. Childish Gambino’s parents are both retirees. His father, Donald Glover Sr. worked as a postal worker while his mom, Beverly worked as a daycare provider. Donald Glover wasn’t born as an only child, he is one of two children born to his parents. His brother Stephen Glover is notable for his skills in writing. He is popularly known as a screen writer and rapper with credits in mixtape works like Frequent Flyer LP (2011), Summer of Steve (2012), High Art (2014), and DJ Rhetorik Presents: Rich Black American (2016). Childish Gambino is one black American star who has decided to keep the affairs of his personal life off the spotlight despite being a gleaming star in the world of arts. He has two children with a lady named Michelle, however, there are no details of if they are married or if she still bears the girlfriend title. From what we discovered, the two has been together for quite a long time. The couple’s first child is named Legend and the second child’s identity is yet to be revealed.